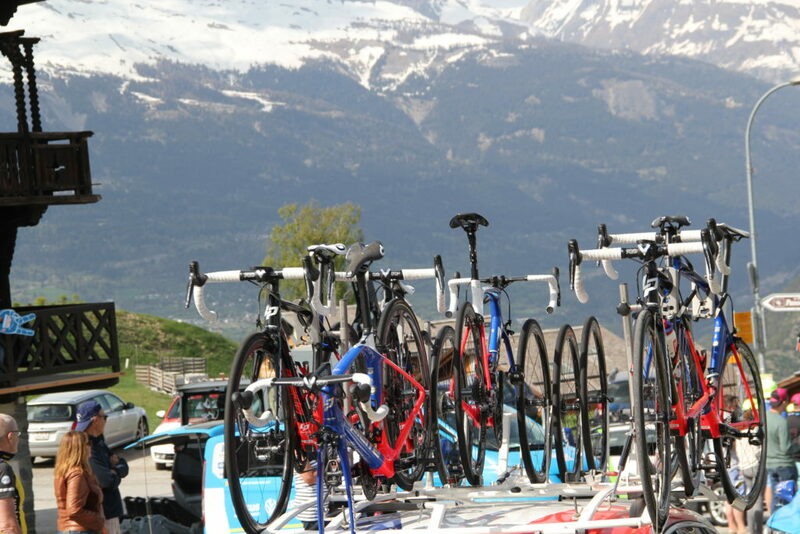 The Val d’Hérens was busy last Saturday (28th April) with the sound of helicopters, cars and bikes following the cyclists in the Tour de Romandie race as it wove its way up from Sion through the Rhone valley with a climb up to the village of Nax, through more villages and roads up and down the valley. 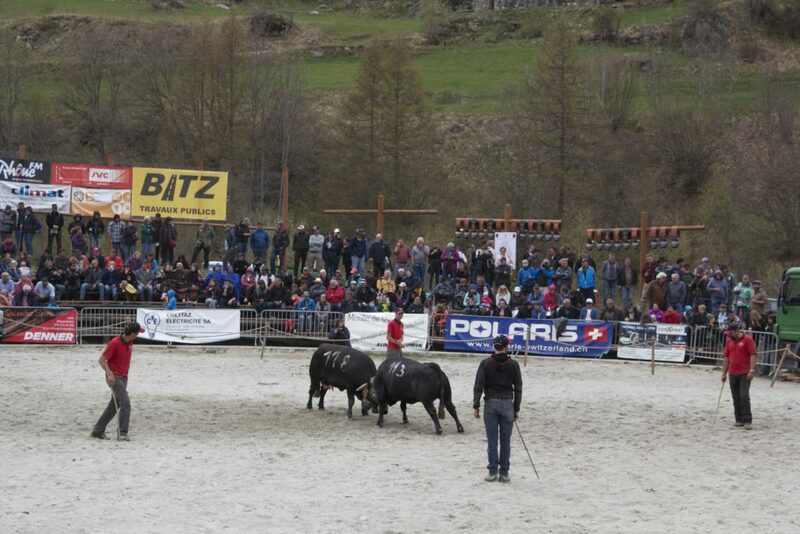 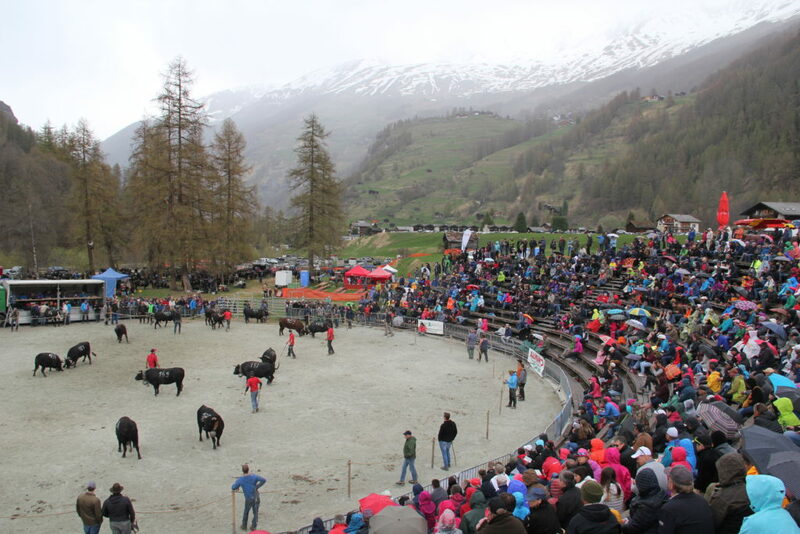 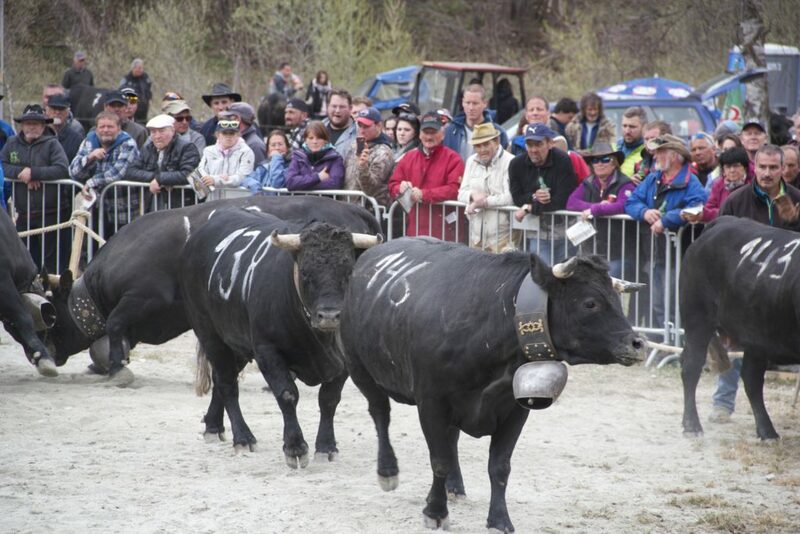 On the following Sunday, a big crowd gathered in the Les Haudères arena to watch the “Combat de Reines” the traditional cow fighting competitions that take place from March through to September. 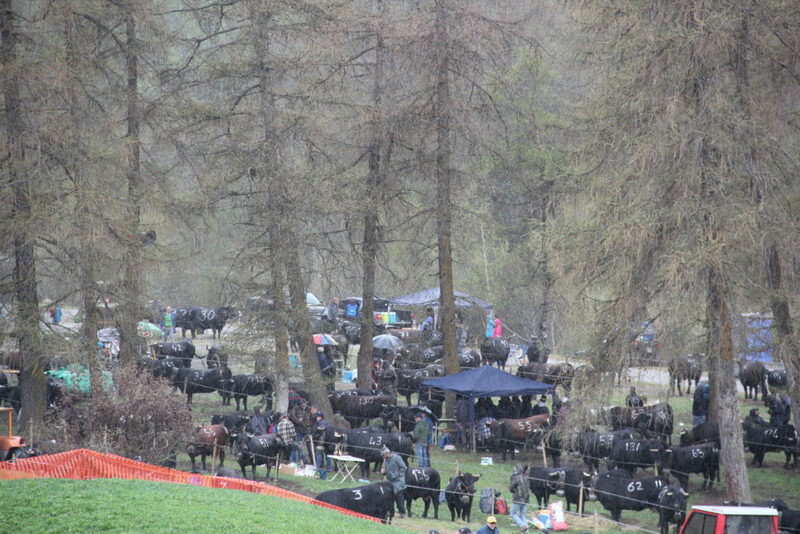 The winner of these cow fights is crowned the queen, the “reine”, of them all. 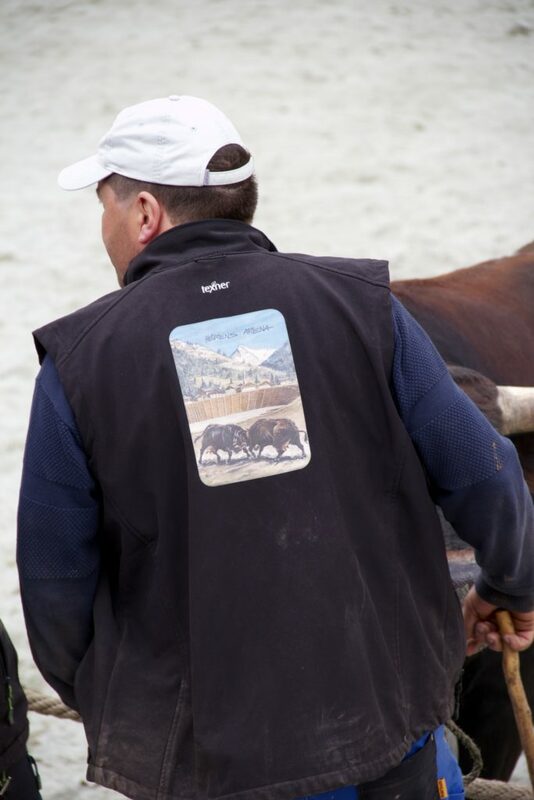 To find out more about these combats and the Hérens cows, click here. 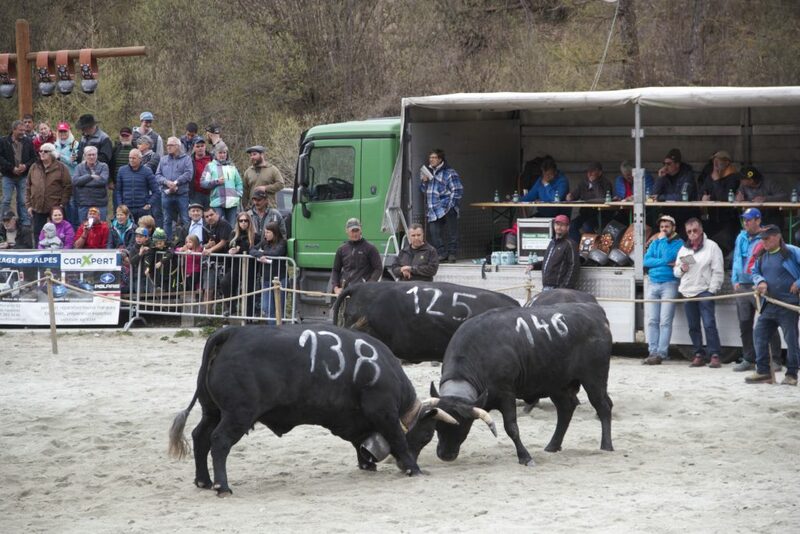 There will be more cow fights over the next few months for members of the public to see including the final, see the agenda here. 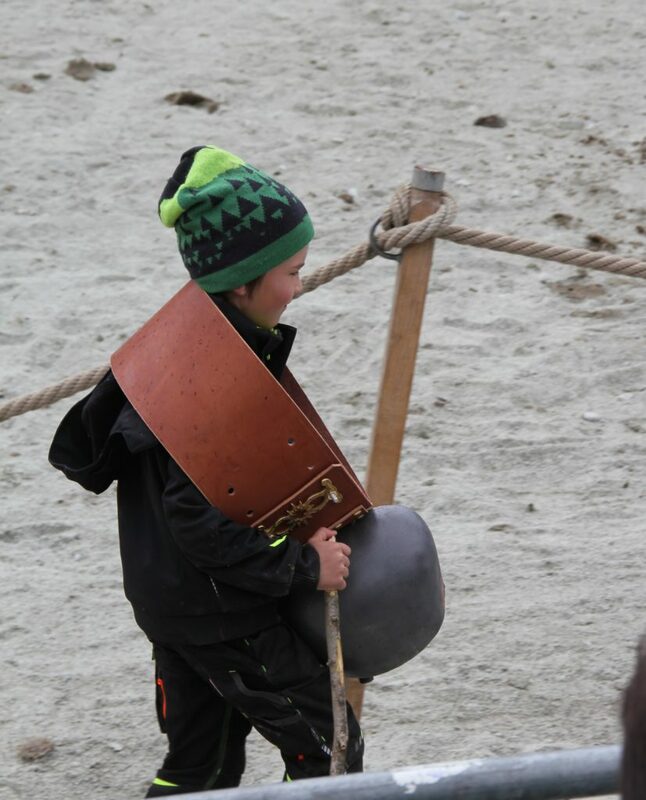 These events are family affairs: the farmer’s children are present and if the family cow wins a prize, they parade around the grounds wearing their cowbell prize with pride!